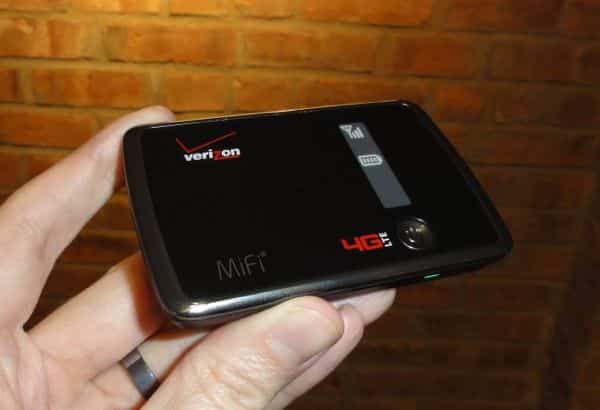 Anika writes: How many GBs do I really need for a mobile hotspot? They keep saying 10 GB a month if I want to watch movies on my tablet/computer, but won’t 5 GB per month suffice? Hi Anika! Great question—and the answer, as you may have guessed, is: it depends. What are you planning on doing with your laptop and/or tablet while it’s connected to your mobile hotspot? Will you just be surfing the web and checking email, or maybe streaming the occasional song from Pandora or Slacker? Or will you be downloading HD movies from iTunes, or watching entire seasons of “Mad Men” on Netflix? If you’re only planning on surfing and emailing, plus a little video and music, then 5 GB should be enough—more than enough. With just one GB, you could send and receive more than 50,000 text-only email messages, or browse more than 5,000 web pages—or download 200 songs, for that matter. With 5 GB of data a month at your disposal, that should keep you pretty busy. You could also get away with streaming a decent amount of video, with the Clicker Blog noting that you could watch YouTube for more than a dozen hours using your mobile hotspot and still be left with a GB or so of monthly data to spare. When it comes to watching full-on TV shows and movies, though—particularly in HD—a 5 GB monthly data limit might start to cramp your style. Related: How big is a gig? For example, watching a single two-hour standard-definition movie on Netflix will eat up a 300 MB chunk of data (this, again, according to the Clicker Blog), while a 45-minute SD episode of “The Good Wife” on iTunes will run you a cool 500 MB, or half a gigabyte. If you want to rent an HD movie from iTunes, steel yourself: a two-hour HD movie rental weighs in at an eye-popping 4 GB, or almost your entire 5 GB monthly data allotment. Now, my guess is that you’re probably not planning on downloading massive HD movies every day—or at least, not using your mobile hotspot. I’m also assuming you’ll do the lion’s share of your surfing, emailing, and video streaming on your home Wi-Fi network, rather than using your mobile hotspot as your primary means of Internet access. Now, for argument’s sake, let’s say you sign up for the 5 GB plan and you do end up using more—say, six or seven gigabytes in a given month. Well, most mobile hotspot data plans (which typically start at $50 a month for 5 GB) call for a nominal $10 charge for every extra GB you use over your monthly limit—not cheap, mind you, but not the end of the world, especially if you only exceed your normal 5 GB limit once in a blue moon. And if you do find yourself regularly using more than 5 GB a month, you could always call your carrier and ask to up your monthly plan to 10 GB—and they’ll typically say yes, even if you previously signed a two-year contract. Finally, consider a prepaid plan for your mobile hotspot, which might cost more than a “post-paid” plan but allow you more flexibility in terms of paying for only the data you actually use. Hope that helps, Anika. Have more questions? Post ’em below!